God is a passionate God. He passionately loves some things and passionately hates other things. As you grow closer to him, he'll give you a passion for something he cares about deeply so you can be a spokesperson for him in the world. Study the Bible. We need to make his Word a part of our lives. God’s Word is inspired, and it will help you to be fully equipped to do everything God wants you to do. YAHWEH REDEEMED INTERNATIONAL MINISTRIES, INC.
From HAGAR to SARAH; REHAB to MARY; ESTHER and PRICILLA too. Gideon was the least member of the weakest clan in the tribe of Manasseh. His task on the day in question was the tedious threshing of wheat, a process where the cereal grain is knocked loose from the chaff. Did you ever play "King of the Hill"? You know the game: There's only room for one guy at the top, and when you make it there, you’re the King of the Hill! We’re envious of the person at the top, and, when we finally get there, we like to make others envious of our position! "God did this so that men would seek him and perhaps reach out for him and find him, though he is not far from each one of us. 'For in him we live and move and have our being.'" Acts 17:27-28 (NIV). In order to build your faith, God will give you a dream. Then, he'll urge you to make a decision. But then he'll allow a delay, because in the delay he matures you and prepares you for what is to come. Beloved, when you face the storms of life--even blinding, destructive storms--quiet you soul and calm your fears, for I am with you. I say, do not be afraid. Call upon Me in times of trouble, and I will speak to your storm and command peace so that it will not wear you out. Do not lose hope or become overwhelmed; trust Me that I will hear your prayer of faith. Go from where you are to where you want be. Bite off more than you can chew. Get ahead during the time others waste. Get out of your own way - enjoy being you! Being “born of water and of the Holy Ghost” are the first steps we take on the road to eternal life. One of the purposes of baptism is to symbolically wash away our sins, but even Jesus Christ, who lived a perfect life, was baptized. 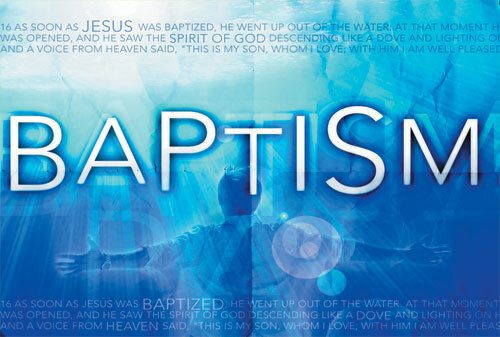 Jesus was baptized because it is a commandment and he wanted to provide a perfect example of obedience to Heavenly Father’s divine guidance. Healthy families have family pride; members are not ashamed to be recognized as a part of the family. Sadly, I’ve met many church members who’ve never publicly identified themselves with God’s family—by being baptized. An overcast sky made the country night intensely dark and a light drizzle made the highway dangerously slick. On my way home that night, as I passed a semi-trailer and pulled in front of it, my car struck a slippery patch of roadway and went slithering snake-like down the road out of control. Abruptly my car swung around and began careening down the road backwards with the semi-trailer barreling down on top of me! St. John 20: "The Empty Tomb"
Rev. Dr. Carreen Clarke - revealed the fact that no one took the life of Jesus Christ - The question was asked who killed Jesus and the response was that no one killed Him - Dr. Clarke expound on the Fact that Jesus gave up His life, His home in Glory and came to the pit of hell Just for Me; Jesus came and Did it JUST FOR ME and YOU The Scripture reading was taken from I John 1: verses 1-the end. When we are on one accord the enemy have to run like a thief in the night. and use it. That's fine if we know how to use it from the get-go. But sometimes, while in use, we break it. Then we ask, "What happened?" Strife In A Marriage Is One Of The Greatest Ways That Satan Binds The Power Of The Body Of Christ. Somehow, we have managed to lose track of the place of honor in marriage relationships. Actually, we've lost track of it in much more than just our marriages, we've lost track of it in all areas of our society. Our society has become so intent on "looking out for number one" that we've forgotten that other people are worthy of honor. Giving back to others is one of the easiest ways you can contribute to society. So why, then, do so few people do so? For some, the idea of giving away hard-earned money is preposterous. For others, there’s just not enough hours in the day to give back to others. Fantasy - Good or Bad? Pretty much everybody has fantasies of one sort or another. We dream about what we'd do different if we were the boss, or having the big boat we'd seen, or even what we'll do when we retire. These fantasies don't hurt anything, and in fact, sometimes they seem like the only thing that keeps us going. The men in your life – fathers, sons, brothers, husbands, boyfriends, employees, friends – aren’t just women with big feet and beards. They’re completely different from women, and understanding them can often be a challenge. But once you get to know the male psyche, you can start enjoying mutually fulfilling relationships with them. Acts 2:24 - But God raised him from the dead, freeing him from the agony of death, because it was impossible for death to keep its hold on him. I Cor. 15:55 - O death, where is thy sting? O grave, where is thy victory? Child, do not be discouraged by your present difficulties, for I will make a way for you in the midst of them. Remember, I told you in this world you will have tribulations, but I also told you to be of good cheer because I have already overcome this world. I will overcome in your case as well. Dr. Clarke was a guest of Family & Friends Connection, Inc on the radio as Host Donneth (center) and Co-Host Debbie (left) listen as she speaks without fear or compromise. The Bible tells us to “pray all the time” (1 Thessalonians 5:17 MSG). Tell the devil today, he is a liar! ; He will not take your joy, your peace or disturb your spirit. Tell him he cannot sleep in your bed there's not enough cover. Tell him he can't touch your body it's covered with the Blood. Tell him he cannot audit your finances you've changed accountants.